We created a new polymer blend for our bumper that provides more than 90% of its impact absorbing capability. This innovation in structure will add an additional 10%-15% of overall impact absorbency. In the honeycomb are compartments of pressurized air that act as airbags and deflect impact energy. PROTECTS AN EGG FROM BREAKING WHEN IT FALLS. RHINOSHIELD Crash Guard has a matte finish, which serves as a means of enhancing your grip on your device. The finish also serves to make the bumper more durable as it is harder to scratch. Our goal is to cover up as little of your device as possible while adding maximum protection. 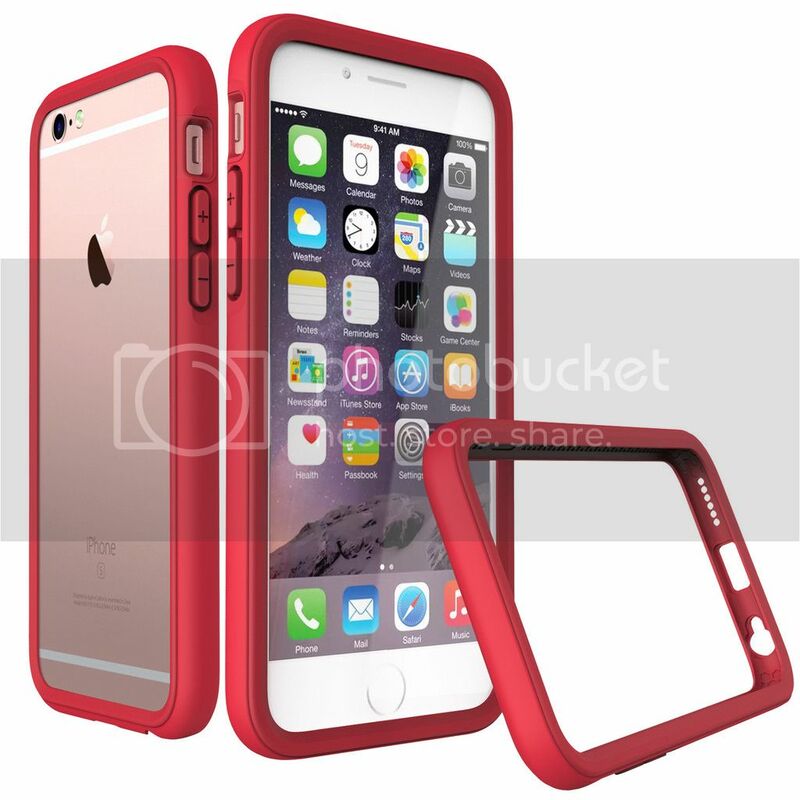 The bumper is only 2.5mm thick and yet it still offers extreme protection. The bumper is super-lightweight, weighing at only 12 grams (less than half an ounce) yet it is still fully capable of providing at least the same level of impact protection as many leading brands or any other brick-like case product. We pay special attention to ensure all the buttons (power, volume, etc.) are fully accessible, and all the ports have sufficient openings so they are easily accessible and compatible with most headphones (including Beats by Dr. Dre) and third-party charging accessories. 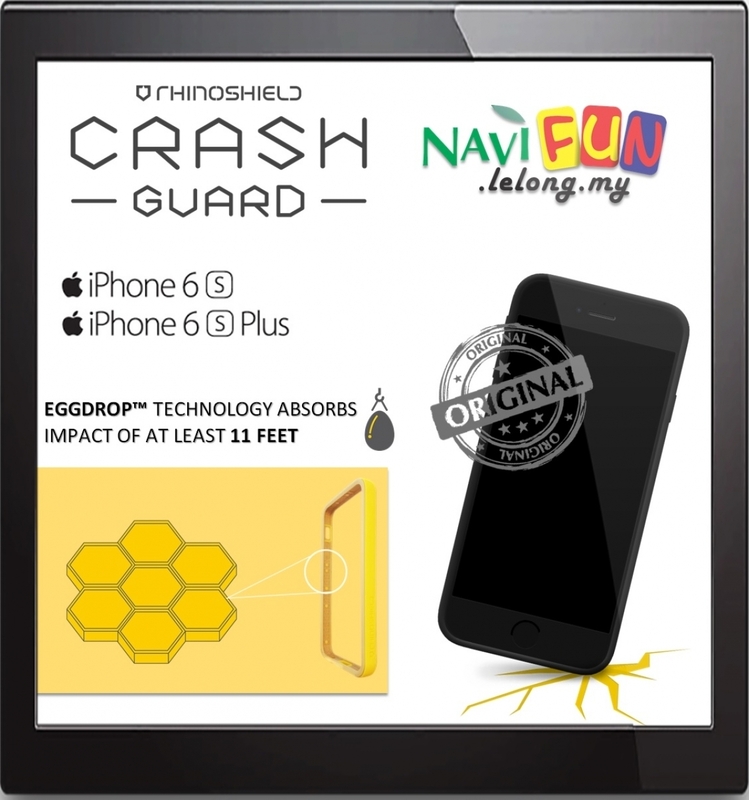 360 degrees high impact protection powered by Eggdrop Technology. Compatible with third party headphones and cables. 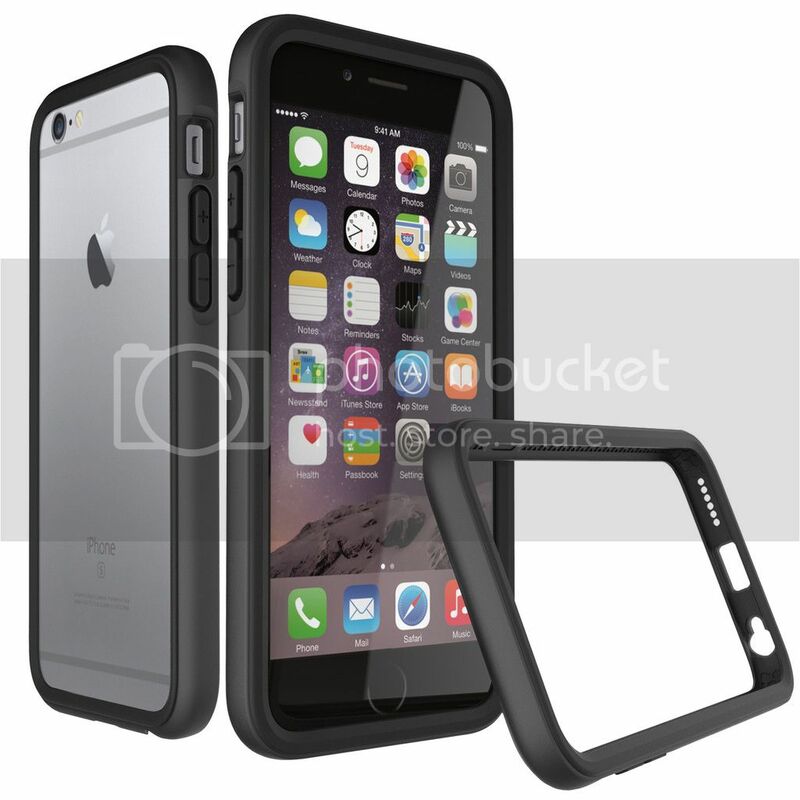 Rhino Shield Crash Guard bumper case.